I’ve been picking up some amazing skills. I’ve learnt so much that I didn’t even realise that I had skills that are applicable for me to improve my life going forwards. And even more so the people that I help. 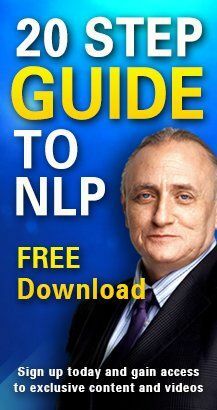 I love helping people and the NLP life skills that I’ve learnt from Richard Bandler and John Lavelle and Kathleen Lavelle are just going to take me forwards into the future and really accelerate my business, and accelerate my life and the lives of others that I care about. The course has certainly gone beyond my expectations. I walked in the door with an open mind with no expectations other than that I was coming here to learn and embrace the knowledge of Dr Richard Bandler and his crew and I have to say that it’s been overwhelming what I’ve learnt. I’ve left here each day realising that I’ve learnt so much more than what I ever thought possible.